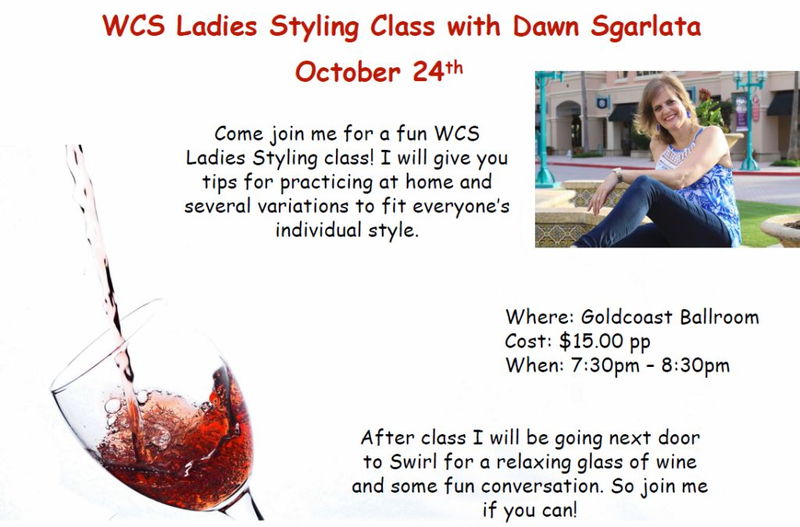 Don’t miss this fun Ladies Styling Class in West Coast Swing with Dawn Sgarlata! « Don’t Miss This!! – Wednesday, October 17 – 7:30 PM – Special Workshop – ‘HOW TO PRACTICE (Part 2)’ – with US Open Professional Champions ALEXANDER & VERONIKA VOSKALCHUK!! – $20 per person; $30 per couple – Also Available for Private Lessons! – Call to schedule!